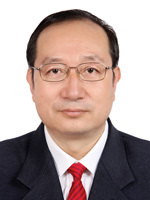 Suocheng Dong is a leading Professor of Knowledge and Innovation Base at the Institute of Geographic Sciences and Natural Resources Research (IGSNRR), Chinese Academy of Sciences. He is also Director of Regional Ecological Economics Research and Planning Center, Director of Resource Economics and World Resource Research Department, and Vice Director of Center of Tourism Research and Planning of IGSNRR. He holds a Ph.D in Regional Economics and Human Geography, and an MSc in Economic Geography, both from Northwest Normal University. He is the leading scientist of the Key Project of National Scientific and Technological Basic Research on the Comprehensive scientific expedition of north China and its adjacent areas. He is also standing member of China Society of Natural Resources and Chinese Ecological Economics Society. Prof. Dong has published more than 300 papers and monographs, and has won 12 scientific and technological progress awards and cooperation awards at the national and international levels.